From the popular visual novel/anime series Steins;Gate. 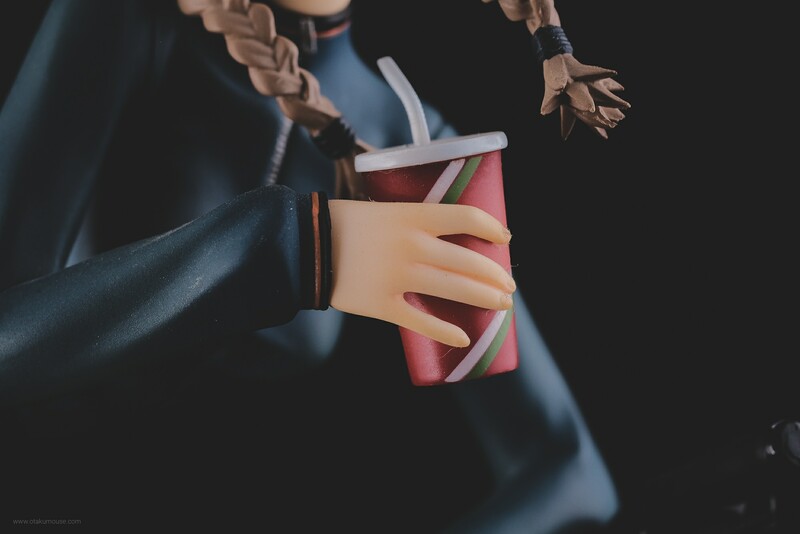 I already own this of Suzuha Amane figure for quite some time, but I wasn’t able to do any review telling people how an amazing it is. 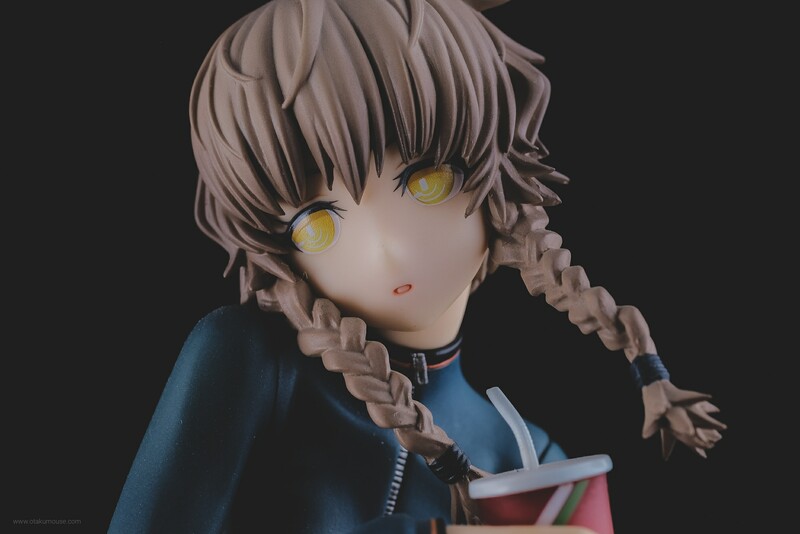 Getting this figure is a no-brainer for me not because I’m a fan of the series it came from (Steins;Gate), but because the character has a bike! I’ve been into cycling (both road and mountain) for like roughly 15 years now and seeing something like this in a figure is something special. 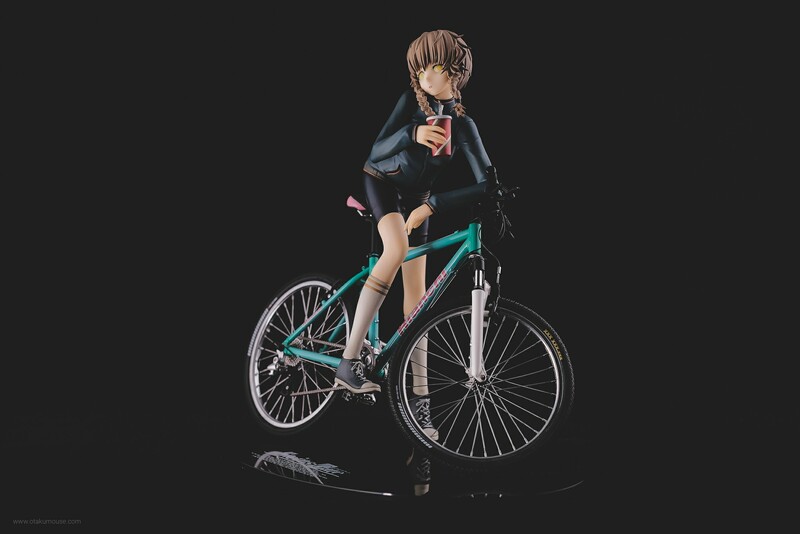 Seriously, how Alter rendered her bike is beyond amazing. To be perfectly honest, I don’t know anything about the show she came from. I’m not even familiar with her character. But the moment I saw this figure came up for preorder, I immediately mashed the preorder button. I like everything about this figure. Her pose, her facial expression, her outfit, and of course her super detailed bike. Seriously, how Alter rendered her bike is beyond amazing. You’ll see it in some of my macro shots later in this review. The good news is, she’s not that hard to come by (if you’re planning to get her). The figure stands at around 7 inches tall. 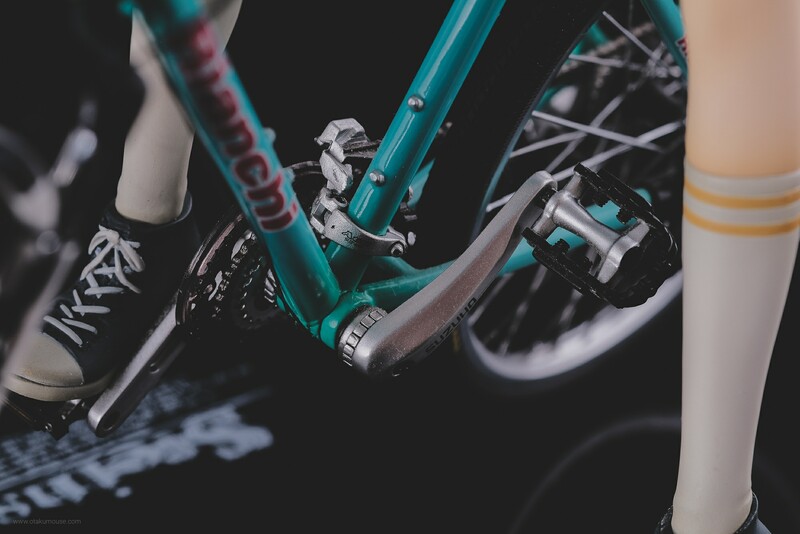 Assembly is pretty straightforward since there are only three main parts you need to worry inside the box – the main figure, the bike, and the stand. The only “mounting” part of the figure is the character’s left leg which directly inserts to the base. Everything is well balanced since the figure still stands even without the support of the bike prop. Everything is well balanced (weight wise) since the figure still stands even without the support of the bike prop. There’s also no “figure bending” even if her left leg is carrying all the weight. Attaching the figure to the bike is a bit tricky (at least for me) since you have to make sure her left arm is resting flat on the bike’s handlebars. 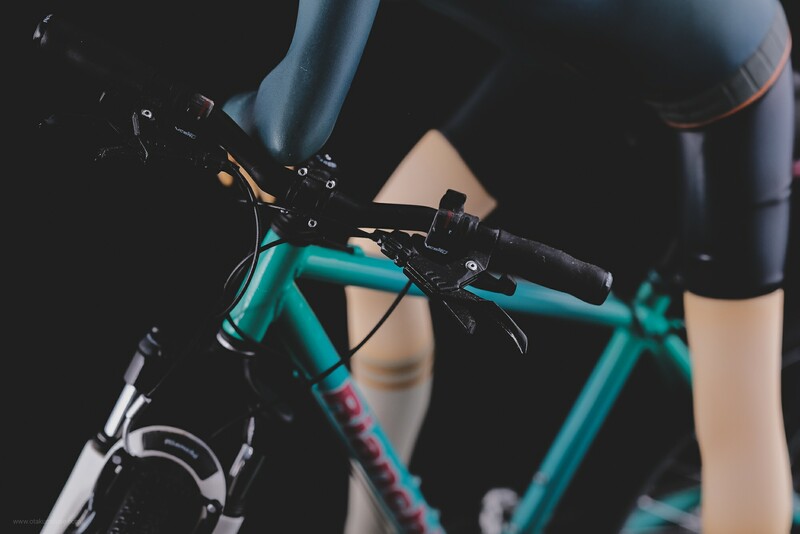 To do this, you must tilt the whole bike and turn the handlebars to the left side of the figure until you get a stable position for both of them. 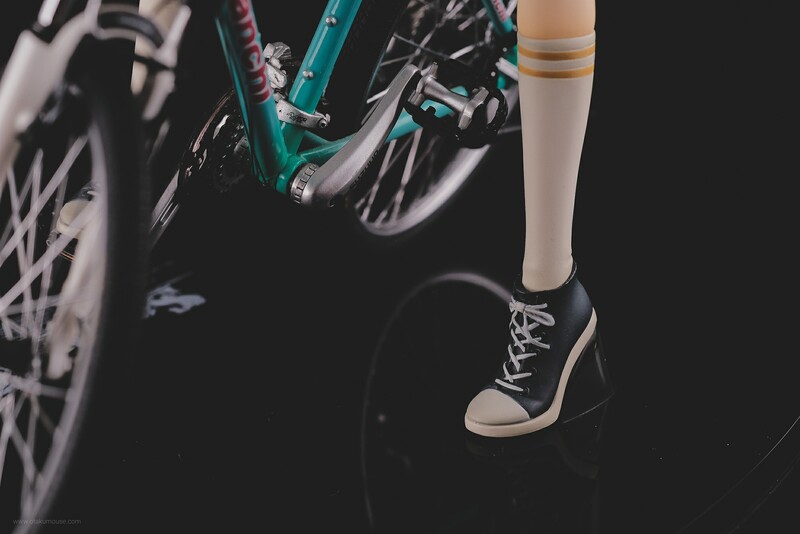 Also, you have to make sure her right leg is resting flat on top of the bike’s right pedal. 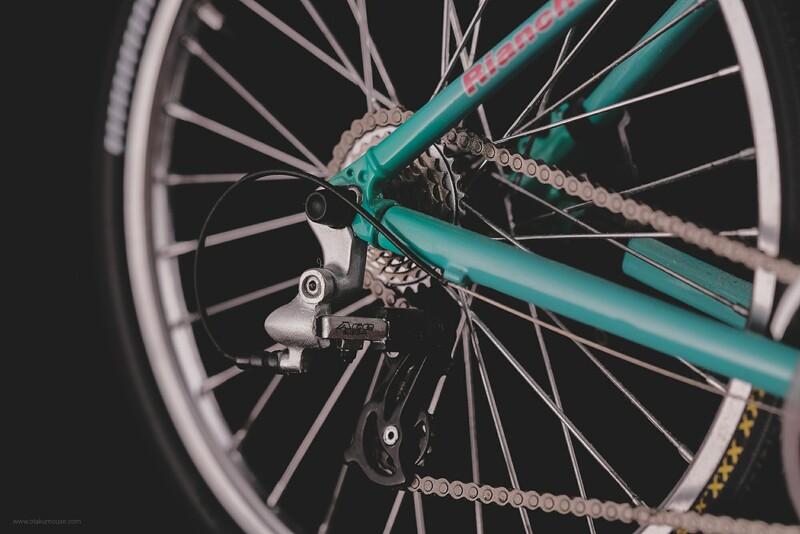 The bike’s crank arm and pedal are all articulated so you can align it with ease. 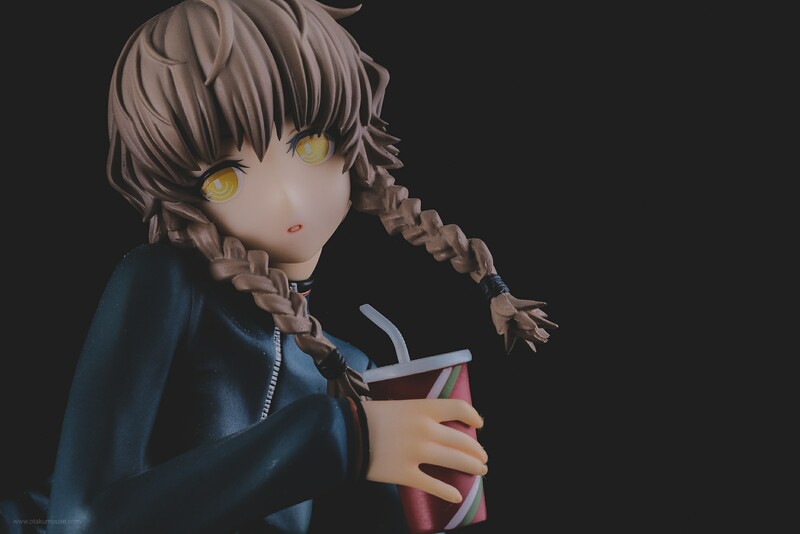 Once you have everything stable, there is this thing included in the figure (which I forgot to take a picture of) that serves as a “support” for the entire display. 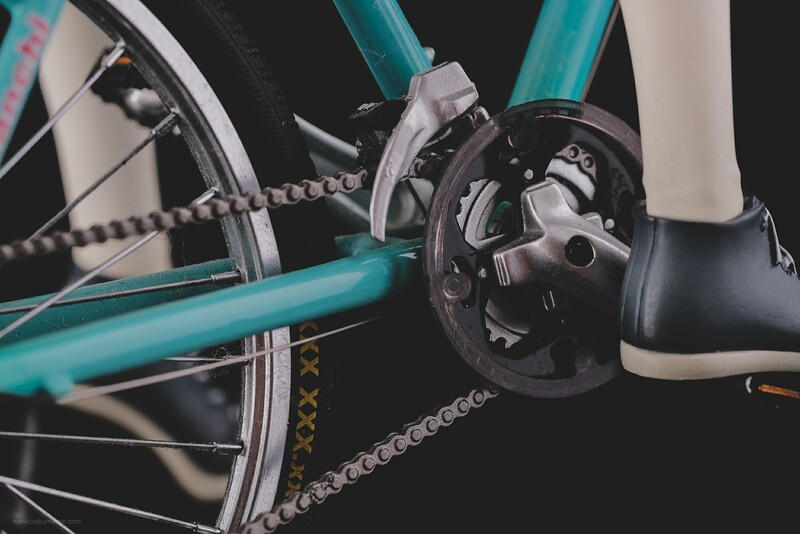 Because of how the character is resting on top of the bike, there’s a bit of weight that pushes it downward. 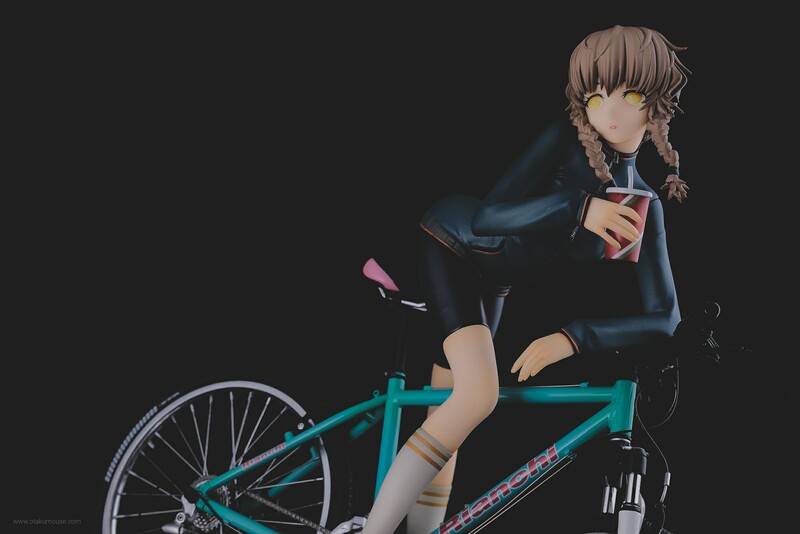 The support thingy I’m talking about is placed under the bike’s top tube and will somewhat negate the weight of the figure above it. 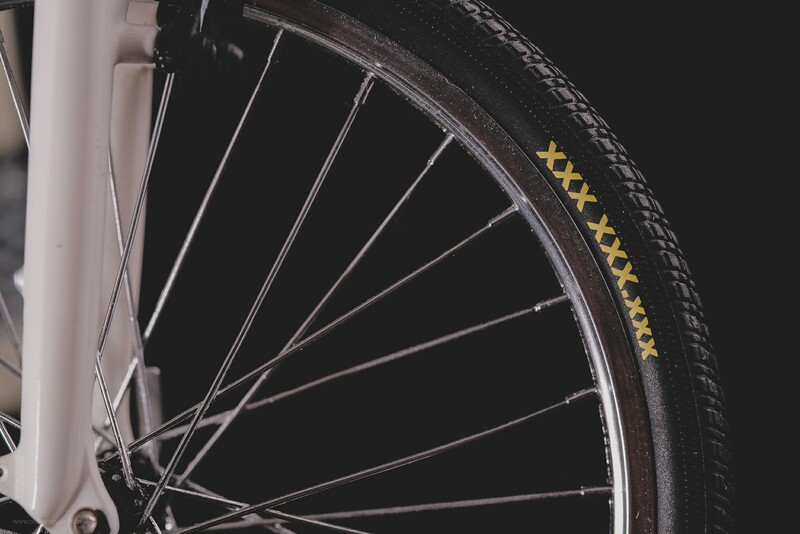 Now let’s talk about the bike! One of the main reasons I purchased this figure is because of the bike. As a cyclist for many years, this is something that I genuinely appreciate. Figures like these are few and far between. If you’re looking for a figure that has a bike, this is the best one you can get. The details on the bike are insane. 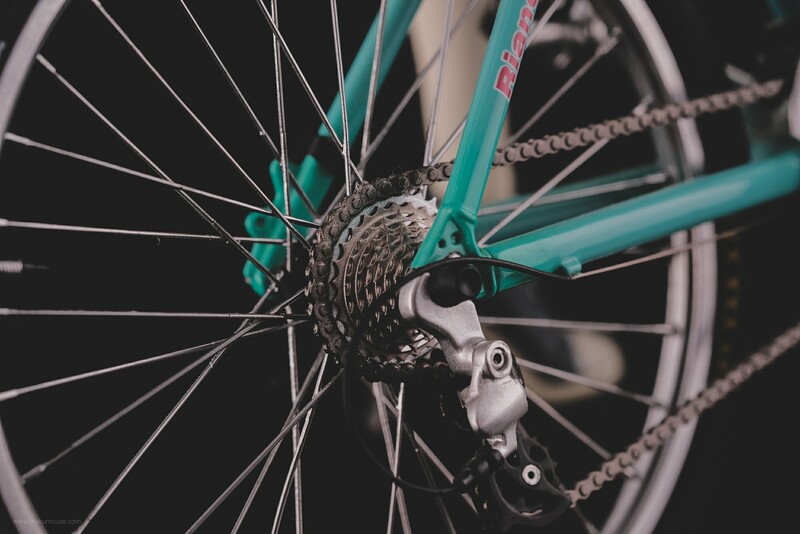 I’ve been surrounded by bikes for roughly 15 years now, so I know and understand every part that makes a bike work. I wasn’t expecting Alter to recreate every part in full detail. Things get interesting when I started shooting in macro. Microscopic details like the part label and the shifter indicator are all meticulously recreated. Even the nuts and bolts that connect each part are all there. It’s crazy. Microscopic details like the part label and the shifter indicator are all meticulously recreated. 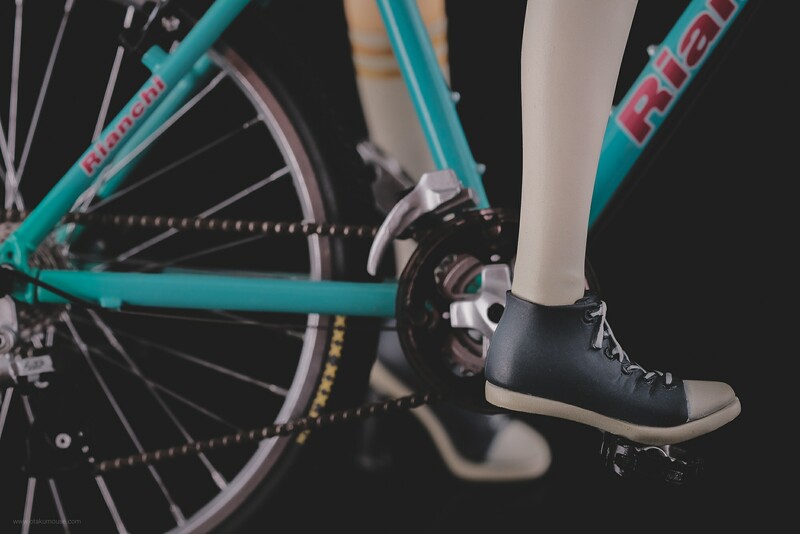 The actual bike used in this figure was based on a real Italian brand called, Bianchi. 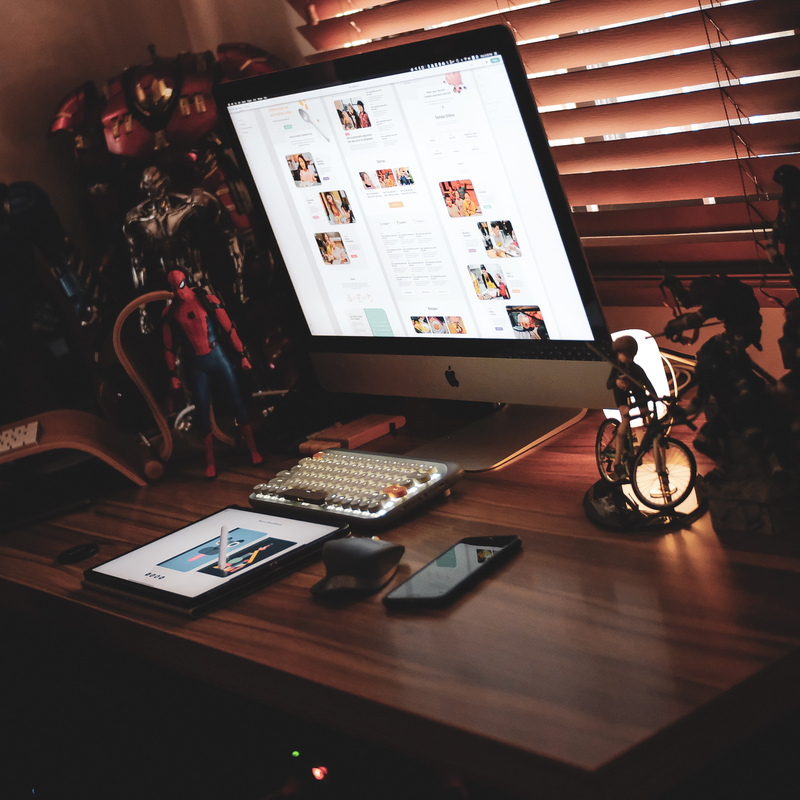 The color used is also one of the signature colors used by that brand called celeste green. 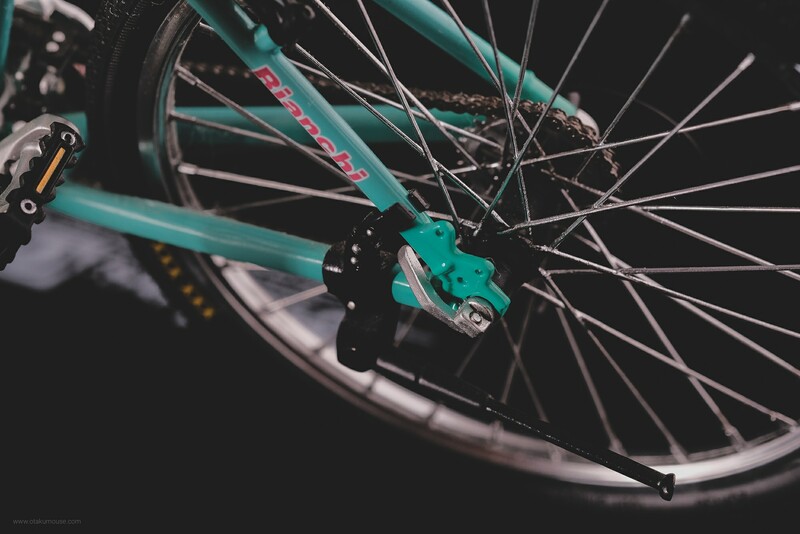 A quick google of that color will show you Bianchi bike frames. 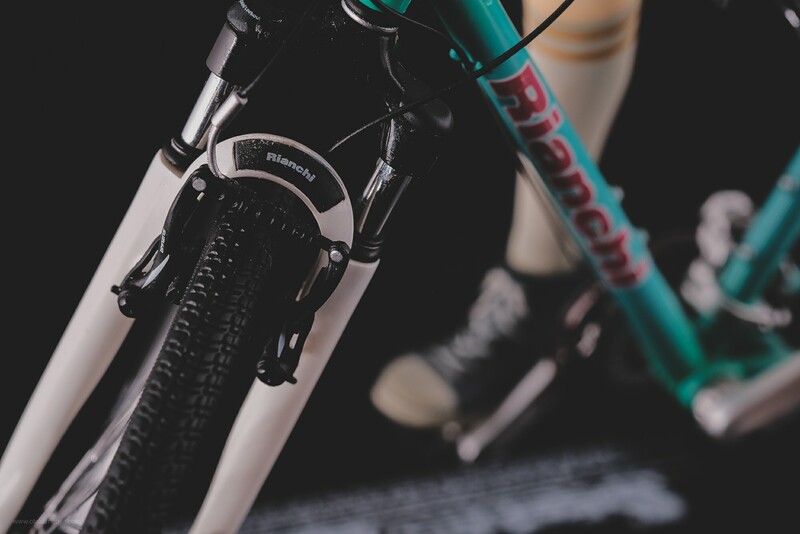 Italian bike brands like Bianchi, Colnago, and Pinarello are some of the most expensive in cycling. All of them are being used professionally in “Grand Tours” like Tour de France. 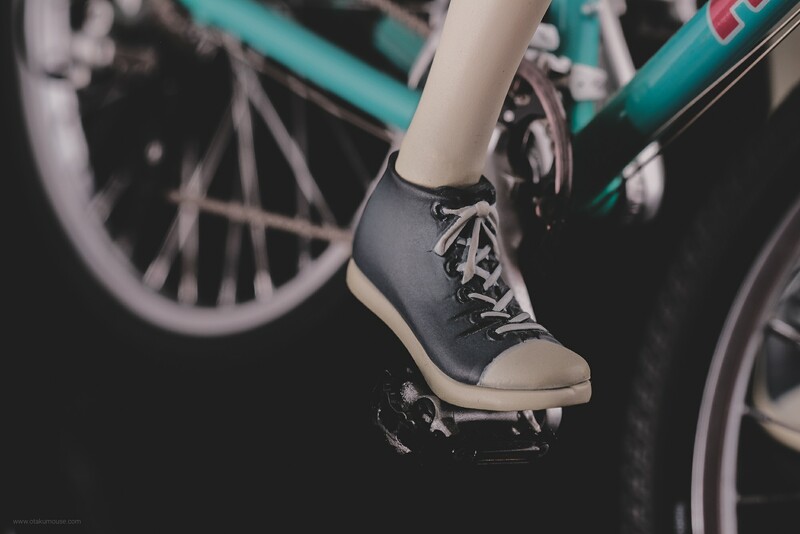 The bike also has a kickstand that works making it possible to display the bike without the figure (in case you want to). I could go on forever describing why the bike rendition is the best I’ve seen in a figure, but I don’t want to waste your time. So here are some more macro shots that will showcase the figure’s fantastic details.